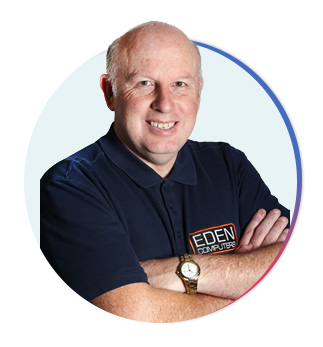 Eden Computers Ltd is a computer online and mobile computer store, and technical support provider, supplying customers, both residential and commercial, with a wide range of computers, software and related hardware. Grant Stevens is a senior computer technician with over 15 years experience in repairing pcs, upgrades and one on one support. We repair all laptop and computer brands and models. we sell Toshiba, Lenovo, HP, ASUS, IBM, Sony, Apple, NVIDIA, LG, to name a few. We offer brand name systems, and we custom build computers to meet your specific needs. We also source hard to get equipment and software. Eden Computers was founded in 1998 by Jerry Dong. He built a reputation for friendly, personal, competitively priced service.The store began in Edwin St, Mt Eden and in 2004 shifted to 100 Mt Eden Rd. Then in July 2009 we moved to 66B Mt Eden Rd. And operates from Third Ave, Kingsland and our mobile workshop. In April 2008 Grant Stevens (Formerly of Grace Computers) purchased Eden Computers and took on the role of Managing Director. Grant's background is 15 years residential and small business computer support, web design and Sage Winforecast financial forecasting, sales and training. He has continued to build on the companies already great reputation. Prior to 1998 Grant was a maintenance builder for 15 years. Grant is now a sort after speaker at Seniornet meetings and Hillary Village's computer club. On 1 Nov 2013 the retail premises at 66 Mt Eden closed and relocated to 19 Third Ave, Kingsland, where there is an office and workshop for repairs. (Phone for an appointment or we can come to you, anywhere in Auckland. Begun 15 years ago our policy is simple, "We sell products that we love using", so you know you are always buying the best products available. In addition to supplying you with great products, we will also supply you with great service. We continually endeavour to provide fast, efficient, and best of all, AFFORDABLE service. If you are having problems with your computer, give us a call, and will get it sorted for you, FAST!